Published May 24, 2018 at 12:00 a.m. Updated June 15, 2018 at 11:47 a.m. The Vindy is the best source for the coolest events going on this weekend. Strawberry Festival, 11 a.m. to 4 p.m., White House Fruit Farm, 9249 Youngstown-Salem Road, Canfield. Desserts, drinks, fresh berries, music and more. Pick your own (weather permitting). Country Legends tribute band with Chris Higbee, Warren Community Amphitheater, 321 Mahoning Ave. NW, Warren. $8. Rain or shine. Gates open at 5 p.m. Headliners take the stage at approximately 8:30 p.m.
Youngstown Flea, 10 a.m., Covelli Centre outdoors, 229 E. Front St., Youngstown. Mill Creek Trolley Tours, boards at Ford Nature Center, 12:45-1:45, 2 to 3 p.m. or 3:15 to 4:45 p.m. Enjoy the sights of Mill Creek Park with natural and historic views aboard the Cohasset Express. Limited seating. Register/prepay at least two days in advance at 330-740-7107. Cost for adults is $7; $10 if not registered. Anyone 12 and under or 60 and over are $5 or $8 if not registered. Jim Frank Trio, 6 to 8 p.m., Harding Park, 249 Roosevelt Drive, Hubbard. The Austintown Farmers Market, every Monday at Austintown Township Park, 6000 Kirk Road, open from 5 to 8 p.m. through Sept. 24 (except Labor Day), rain or shine. In the event of inclement weather, the market will be moved inside Stacey Pavilion. There will be a different theme each week with activities and entertainment. Free yoga at 6 p.m. and free healthy cooking demos weekly. For information, email austintownfarmersmarket@gmail.com, or call 330-349-2503. The Mahoning Valley Button Box Club, 7 p.m., Yellow Creek Park, 17 Lowellville Road, Struthers. Rex Taneri, 6:30 p.m., Roosevelt Park, 800 Struthers Liberty Road, Campbell. Guys Without Ties, 7 p.m, Maag Outdoor Theater, Boardman Park, Boardman-Canfield Road, Boardman; boardmanpark.com. Youngstown Community Concert Band, 7 p.m., Copeland Oaks, Sebring. Family Tour Thursdays, MetroParks Farm, 10 to 11:30 a.m. Every Thursday through the summer explore MetroParks Farm with a tour guide. Tour includes visit to playroom, tractor wagon ride and a visit to the barns. Register at 330-533-7572. Family Fun Fridays, Fellows Riverside Gardens, Mill Creek Park, 11 a.m. to 1 p.m. Activities include yoga, crafts, storytelling and a pop-up library. “Julius Caesar” Shakespeare in the Park, Morley Pavilion, Wick Recreation Area, Mill Creek Park, Mahoning Valley Players. 6 p.m. Free. Country Legends tribute band with Chris Higbee, Warren Community Amphitheater, 321 Mahoning Ave. NW Warren. $8. Rain or shine. Gates open at 5 p.m. Headliners take the stage at approximately 8:30 p.m.
Family Fun Saturday Golf, Mill Creek Golf Course, 5 p.m. $25 for a family of four. Tee times required and available by calling 330-740-7112. Warren Harley Owners Group 3906 Military Benefit Run for the USO of Northern Ohio, registration from 10 a.m. to noon, Longboyz Tavern, 200 Cleveland Ave., Champion. $10 per person. First bike out at 11 a.m., last bike in at 5 p.m. Basket auctions, food, door prizes, music by DJs on Tap. All vehicles welcome. Contact Tammy at 330-240-1168 for information. Youngstown Flea, 10 a.m., Covelli Centre outdoors, 229 E. Front St., Youngstown; youngstownflea.com. Mill Creek Trolley Tours, boards at Ford Nature Center, 12:45-1:45, 2 to 3 p.m. or 3:15 to 4:15 p.m. Enjoy the sights in Mill Creek Park with natural and historic views aboard the Cohasset Express. Limited seating. Register/pay at least two days in advance at 330-740-7107. Adults, $7, $10 if not registered. Anyone 12 and under or 60 and over are $5 or $8 if not registered. “Julius Caesar” Shakespeare in the Park, Morley Pavilion, Wick Recreation Area, Mill Creek Park, Mahoning Valley Players. 2 p.m. Free. Roadwork, 6 p.m., Waterworth Park, N. Ellsworth Ave., Salem. The Butch Nichols Band, 7 p.m., Canfield Summer Concert Series on the Green, U.S. Route 224 and state Route 46, Canfield. Dixieland Dandies, 7 p.m., Poland Concert Series, gazebo, downtown Poland. YSU Recreational Day Camp, Andrews Student Recreation & Wellness Center, YSU campus, for children in kindergarten to age 12. Event includes a 53-foot rock wall, four multi-purpose sport courts and high ropes elevated rope course. Activities also will take place at various indoor and outdoor locations on campus, as well as in the community. Camp sessions are scheduled Monday through Friday with structured activities from 9 a.m. to 4 p.m. An optional extended program is available at a nominal rate for those campers who wish to arrive early or remain late. Sign up for extended hours with regular session registration. For information, email tdpadilla@ysu.edu. Frank Gallo Band (Italian music), 7 to 8:30 p.m., Austintown Township Park, 6000 Kirk Road. Farmers Market, 3-6 p.m., Courthouse Square, downtown Warren. Youngstown Area Community Concert Band, 6:30 p.m., Park Vista Nursing Home. Spirit of the Bear and By Light We Loom, 7 to 8:30 p.m., Wick Recreation Area, Judge Morley Pavilion, Mill Creek MetroParks. Free. The Jack Vasko & Company, 7 p.m., Woodworth Park, 255 Warren Ave., North Lima. Mill Creek Trolley Tours, Boards at Ford Nature Center, 2 to 3 p.m. or 3:15 to 4:15 p.m. Enjoy the sights in Mill Creek Park with natural and historic views aboard the Cohasset Express. Limited seating. Register/pay at least two days in advance at 330-740-7107. Adults, $7, $10 if not registered. Anyone 12 and under or 60 and over are $5 or $8 if not registered. The Vindys with JD Eicher, 7 p.m., Stambaugh Auditorium Gardens, 1000 Fifth Ave., Youngstown, 330-259-0555. $10 includes one drink from the bar. Following June, 7 p.m., Mauthe Park, 156 Smithfield St., Struthers. Steve Frazzini, 6:30 p.m., Roosevelt Park, 800 Struthers Liberty Road, Campbell. Bon Journey (Journey and Bon Jovi tribute), 7 p.m., Mahoning Valley Race Course, 655 N. Canfield-Niles Road, Austintown. BHS Jazz Ensemble, 7 p.m, Maag Outdoor Theater, Boardman Park, Boardman-Canfield Road, Boardman; boardmanpark.com. Family Fun Fridays, Fellows Riverside Gardens, Mill Creek Park, 11 a.m. to 1 p.m. Each Friday take part in drop-in activities at the Family Garden. Activities include yoga, crafts, storytelling and a pop-up library. Shining Star (Earth Wind and Fire tribute), with Jersey, Warren Community Amphitheater, 321 Mahoning Ave. NW Warren. $8. Rain or shine. Gates open at 5 p.m. Headliners take the stage at approximately 8:30 p.m.
Family Camp in the Park, from 9 a.m. to 1 p.m. the next day, Wick Recreation Area Judge Morley Lawn. Price includes some meals, structured activities and a campfire. Event includes a nature program, hikes, crafts and outdoor activities. Children must be accompanied by an adult at all times. Pavilion area will be closed to nonparticipants and closely monitored. For details, call Ford Nature Center at 330-740-7107 or visit millcreekmetroparks.org. Pay at Ford Nature Center by June 17. Cost is $10 if registered, $15 if not. Children under two are free. Additional fees apply after deadline. Limited time tent rental available for $15 per tent. Dance at the Amphitheatre with Four Lane Highway, 6 to 8:30 p.m., Lake Milton State Park, 2323 Grandview Road. Lake Milton. Rain date July 1. Rex Taneri Orchestra, 6 to 8 p.m., Harding Park, 249 Roosevelt Drive, Hubbard. The Liverpool Lads, 6 p.m., Waterworth Park, N. Ellsworth Ave., Salem. The Packard Band Summer Concert Series, 7 p.m., W.D. Packard Music Hall, south lawn band shell, 1703 Mahoning Ave. NW, Warren. Tractor-Wagon Rides, MetroParks Farm, Canfield, 1 to 4 p.m.
Jewish Community Center Dash and Splash 5k and Family Fun Run/Walk, 9 a.m.; registration and packet pick-up at 7 a.m., Logan Campus, 3245 Logan Way, Liberty. Starts at JCC Main Campus, Gypsy Lane, Youngstown and ends at the JCC Logan Campus. Participants can swim in the outdoor pool. Event includes food and entertainment. Runners will be bused from Logan to Main Campus for the start of the race. Cost is $25 pre-registration; $30 race day registration; $10 children 10 and under. Register online at jccyoungstown.org/dash or call 330-746-3250, ext. 195 or bursar@jewishyoungstown.org. Frank Gallo Band, 7 p.m., Canfield Summer Concert Series on the Green, U.S. Route 224 and state Route 46, Canfield. Rex Taneri Combo, 7 p.m., Poland Concert Series, gazebo, downtown Poland. Border Ride (bluegrass), 7 to 8:30 p.m., Austintown Township Park, 6000 Kirk Road. Bananafish, with the Outside Voices, 7 p.m., Wick Recreation Area, Judge Morley Pavilion, Mill Creek MetroParks. Lawn seating, free. Youngstown Area Community Concert Band, 6:30 p.m., Buhl Park, Sharon, Pa.
Hollywood Gaming Car Cruise, 5 to 8 p.m., North Parking Lot, 655 N. Canfield-Niles Road. Prizes, trophies, live music and more. The Jim Frank Combo, 7 p.m., Mauthe Park, 156 Smithfield St., Struthers. Following June, 6:30 p.m., Roosevelt Park, 800 Struthers Liberty Road, Campbell. Root Therapy, 7 p.m, Maag Outdoor Theater, Boardman Park, Boardman-Canfield Road, Boardman; boardmanpark.com. Family Fun Fridays, Fellows Riverside Gardens, Mill Creek Park, 11 a.m. to 1 p.m. Each Friday take part in drop-in activities at the Family Garden. Special guests visit each week with activities like yoga, crafts, storytelling and a pop-up library. Val the Polka Gal’s Birthday Bash with the Del Sinchak Orchestra, 3 to 7 p.m., SNPJ Recreation Center, Top of the Hill Pavilion, 270 Martin Road, Enon Valley, Pa.
Mill Creek Trolley Tours, Boards at Ford Nature Center 12:45-1:45, 2 to 3 p.m. or 3:15 to 4:15 p.m. Enjoy the sights in Mill Creek Park with natural and historic views aboard the Cohasset Express. Limited seating. Register/pay at least two days in advance at 330-740-7107. Adults, $7, $10 if not registered. Anyone 12 and under or 60 and over are $5 or $8 if not registered. Steve and Diana, 6 to 8 p.m., Harding Park, 249 Roosevelt Drive, Hubbard. Salem Quaker City Band, 6 p.m., Waterworth Park, N. Ellsworth Ave., Salem. Canfield Community Concert Band, 7 to 8:30 p.m., Austintown Township Park, 6000 Kirk Road. Rex Taneri Combo, 7 p.m., Woodworth Park, 255 Warren Ave., North Lima. Youngstown Area Community Concert Band, 7 p.m., Judge Morley Pavilion, Mill Creek Park, special 4th of July concert, featuring a tribute to the veterans of WWII. Val the Polka Gal dance featuring Klancnik and Friends with Brian O’Boyle and Ron Likovic and Friends, 1 to 7 p.m., SNPJ Farm, 10946 Heath Road, Kirtland. The Packard Band Summer Concert Series, 8 p.m., concert and fireworks, W.D. Packard Music Hall, south lawn band shell, 1703 Mahoning Ave. NW, Warren. The Rex Taneri Combo, 7 p.m., Mauthe Park, 156 Smithfield St., Struthers. Cin City and the Saints, 6:30 p.m., Roosevelt Park, 800 Struthers Liberty Road, Campbell. Rumours (Fleetwood Mac tribute), 7 p.m., Mahoning Valley Race Course, 655 N. Canfield-Niles Road, Austintown. Family Fun Fridays, Fellows Riverside Gardens, Mill Creek Park, 11 a.m. to 1 p.m. Activities include yoga, crafts, stroytelling and a pop-up library. Packard Legacy Weekend, National Packard Museum, 1899 Mahoning Ave. NW, Warren. 4-10 p.m. Mon. ;10 a.m. to 5 p.m. Fri.-Sun. This event features the industrial legacy of the Packard Automobile. Fins to the Left (Jimmy Buffett tribute), with My Drunk Uncle, Warren Community Amphitheater, 321 Mahoning Ave. NW Warren. $8. Rain or shine. Gates open at 5 p.m. Headliners take the stage at approximately 8:30 p.m. The Packard Band Summer Concert Series, 7:30 p.m., The Big Band Sound of Packard, W.D. Packard Music Hall, south lawn band shell, 1703 Mahoning Ave. NW, Warren. Youngstown Area Community Concert Band, YSU Festival of the Arts, 11 a.m., YSU Campus. Youngstown Comic Con, 11 a.m. to 5 p.m., Covelli Centre, 229 E. Front St., Youngstown. Includes vendors selling comics, artwork, collectibles and more, with guest visitors in the comics industry, including Jim Steranko, Jim Shooter, Mike Zeck, John Beatty, Rene Witterstaetter and Darryl Banks. Youngstowncomiccon.com. Greg Allen Trio, 6 to 8 p.m., Harding Park, 249 Roosevelt Drive, Hubbard. The Dave Banks Big Band, 6 p.m., Waterworth Park, N. Ellsworth Ave., Salem. The Packard Band Summer Concert Series, 1 p.m., Dixieland Band performance, W.D. Packard Music Hall, south lawn band shell, 1703 Mahoning Ave. NW, Warren. Take II, 6 p.m., Bicentennial Gazebo, Warren Sharon Road, Vienna Center. In case of rain, concert will be moved to St. Thomas the Apostle Parish Center. Jack Vasko & Company, 7 p.m., Canfield Summer Concert Series on the Green, U.S. Route 224 and state Route 46, Canfield. Frank Gallo Band, 7 p.m., Poland Concert Series, gazebo, downtown Poland. The Wrangler Band (modern country and classic rock), 7 to 8:30 p.m., Austintown Township Park, 6000 Kirk Road. The Jim Frank Combo, 7 p.m., Woodworth Park, 255 Warren Ave., North Lima. Canfield Community Concert Band, 6:30 p.m., Buhl Park Performing Arts Center, Buhl Park, Hermitage, Pa.
Hoss and the Juggernauts, with the Admirables, 7 to 8:30 p.m., Wick Recreation Area, Judge Morley Pavilion, Mill Creek MetroParks. Lawn seating, free. John Gabriele, 7 p.m. Yellow Creek Park, 17 Lowellville Road, Struthers. Terry Hitchcock & Party Piano, 7 p.m., Ramsay Memorial Pavilion, corner of Fifth St. and Ohio Ave., McDonald. Jim Frank Combo, 6:30 p.m., Roosevelt Park, 800 Struthers Liberty Road, Campbell. Wrangler Band, 7 p.m., Waterworth Park, N. Ellsworth Ave., Salem. Mission Night Market, 6 to 10 p.m., Huntington Place Plaza, 1393 Boardman-Canfield Road. Visit www.missionmarket.org or call 234-254-0170. Wish You Were Here (Pink Floyd tribute), with Morrison Hotel, Warren Community Amphitheater, 321 Mahoning Ave. NW Warren. $10. Rain or shine. Gates open at 5 p.m.
Fiction Forest, 3 p.m., B&O Station, 530 Mahoning Ave., Youngstown. Rock festival featuring The Vindys, JD Eicher, Spirit of the Bear, Ohio Weather Band, Labra Brothers, Demos Papadimas, Northern Whale and more. $15 at the gate. Family Range Night, Mill Creek Golf Course Practice Facility, 6 to 7:30 p.m. An instructional program designed for the family. Event will feature contests and a picnic on the practice range. For information or to register, call 330-740-7112. Free. Midnight Cruise hosted by Kool Time Cruisers, 9 p.m. to midnight, Stadium GM, 292 W. State St. Salem. Border Ride, 6 p.m., Bicentennial Gazebo, Warren Sharon Road, Vienna Center. In case of rain, concert will be moved to St. Thomas the Apostle Parish Center. Winds at the Winery, Community Band Festival, Canfield Community Concert Band, music begins at 1 p.m., Mastropietro Winery, 14558 Ellsworth Road, Berlin Center. Food, arts and crafts vendors, raffle prizes. Dixie Dudes, 6 to 8 p.m., Harding Park, 249 Roosevelt Drive, Hubbard. The Four Freshmen, 6 p.m., Waterworth Park, N. Ellsworth Ave., Salem. Youngstown Area Community Concert Band, 4 p.m., Mastropietro Winery, special festival to benefit Angels for Animals. Jim Frank Combo, 7 p.m., Canfield Summer Concert Series on the Green, U.S. Route 224 and state Route 46, Canfield. Mahoning Valley Button Box Club, 7 p.m., Poland Concert Series, gazebo, downtown Poland. Sound Bite, (classic rock) 7 to 8:30 p.m., Austintown Township Park, 6000 Kirk Road. Radio Lark, with Marc Lee Shannon, 7 to 8:30 p.m., Wick Recreation Area, Judge Morley Pavilion, Mill Creek MetroParks. Lawn seating, free. Sara Warner and Friends, (country), 7 p.m., Woodworth Park, 255 Warren Ave., North Lima. Cub Pack 115 Meet the Pack Picnic, 6 p.m., Camp Stambaugh Pool, Camp Stambaugh Scout Camp, 3712 Leffingwell Road, Canfield. Fireworks, bands, food. Summer fun swim meetup for children and their families in kindergarten to fifth grade. Accepting applications for new members. In the event of inclement weather, group will meet under shelter. Youths must be accompanied by an adult. To make a reservation or for information, email canfieldcubscouts@gmail.com. Howard & the Point Five Band, 7 p.m., Stambaugh Auditorium Gardens, 1000 Fifth Ave., Youngstown, 330-259-0555. $10 includes one drink from the bar. The Dixieland Dandies, 7 p.m., Mauthe Park, 156 Smithfield St., Struthers. 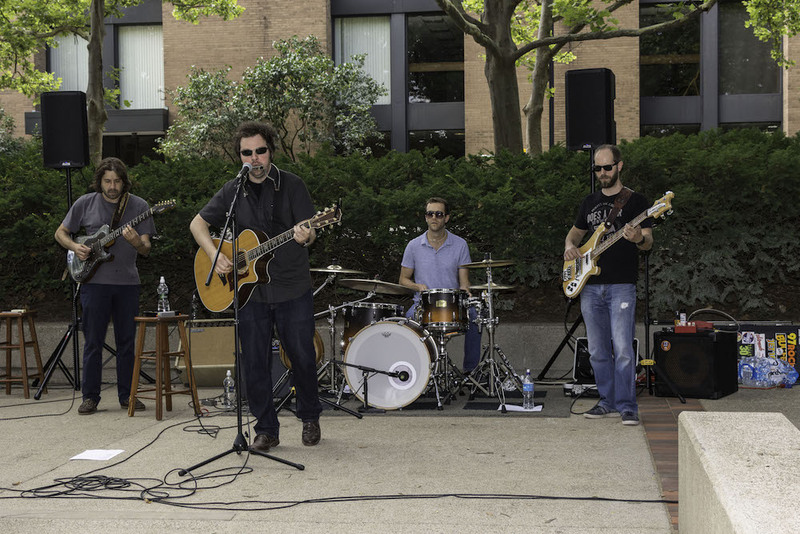 Jim Frank Gallo Band, 7 p.m., Ramsay Memorial Pavilion, corner of Fifth St. and Ohio Ave., McDonald. Jack Vasco, 6:30 p.m., Roosevelt Park, 800 Struthers Liberty Road, Campbell. Draw the Line (Aerosmith tribute), 7 p.m., Mahoning Valley Race Course, 655 N. Canfield-Niles Road, Austintown. Family Fun Fridays, Fellows Riverside Gardens, Mill Creek Park, 11 a.m. to 1 p.m. Activities include yoga, crafts, stootelling and a pop-up library. Beaver Township Kids Fun and Safety Day, 6 to 9 p.m., Woodworth Park, 255 Warren Ave., North Lima. Dirty Deeds (AC/DC tribute) with Strutter, Warren Community Amphitheater, 321 Mahoning Ave. NW Warren. $8. Rain or shine. Gates open at 5 p.m.
Road Work Band, 6 p.m., Bicentennial Gazebo, Warren Sharon Road, Vienna Center. Take own lawn chairs. In case of rain, concert will be moved to St. Thomas the Apostle Parish Center. Jim Frank Trio, 6 to 8 p.m., Harding Park, 249 Roosevelt Drive, Hubbard. Free concert. Backbeat (featuring John Reese), 6 p.m., Waterworth Park, N. Ellsworth Ave., Salem. Rex Taneri Combo, 7 p.m., Canfield Summer Concert Series on the Green, Canfield. Jack Vasko & Company, 7 p.m., Poland Concert Series, gazebo, downtown Poland. Bug Hunters! Cub Scout Day Camp, 9 a.m. to 5 p.m. daily, fireworks, bands, food. For boys and girls in kindergarten to fifth grade. Camp features boating, swimming, fishing, creek hikes, arts and crafts, a live praying mantis hatch, butterfly release and more. For information or to register, contact canfieldcubscouts@gmail.com. Parents looking for a pack for their children can find one at BeAScout.Org. Canfield Community Concert Band, 7 p.m., Ohio Living Park Vista, 1216 Fifth Ave., Youngstown. Youngstown Area Community Concert Band, 7 to 8:30 p.m., Austintown Township Park, 6000 Kirk Road. The Labra Brothers, with Angie Haze Project, 7 to 8:30 p.m., Wick Recreation Area, Judge Morley Pavilion, Mill Creek MetroParks. Lawn seating, free. Salem Quaker City Band, 7 p.m., Waterworth Park, N. Ellsworth Ave., Salem. Guys Without Ties (oldies), 7 p.m., Woodworth Park, 255 Warren Ave., North Lima. Youngstown Area Community Concert Band, 7 p.m., Boardman Park. Frank Gallo Band, 7 p.m., Mauthe Park, 156 Smithfield St., Struthers. Following June, 7 p.m., Ramsay Memorial Pavilion, corner of Fifth St. and Ohio Ave., McDonald. Mahoning Valley Button Box, 6:30 p.m., Roosevelt Park, 800 Struthers Liberty Road, Campbell. Absolute Journey (Journey tribute), with Harvest, Warren Community Amphitheater, 321 Mahoning Ave. NW Warren. $8. Rain or shine. Gates open at 5 p.m. Headliner takes the stage at approximately 8:30 p.m.
Cub Adventure Weekend: Life-Sized Games, 9 a.m. July 28; 10 a.m. July 29, Camp Stambaugh Pool, Camp Stambaugh Scout Camp, 3712 Leffingwell Road, Canfield. Boating, swimming, games, fireworks, bands, food. Campers have the option to tent under the stars or bunk in a cabin. For information or to register, contact ifindthem@gmail.com. Guys Without Ties, 6 p.m., Bicentennial Gazebo, Warren Sharon Road, Vienna Center. In case of rain, concert will be moved to St. Thomas the Apostle Parish Center. Erie Heights Brass Ensemble, 6 to 8 p.m., Harding Park, 249 Roosevelt Drive, Hubbard. The Sensations, 6 p.m., Waterworth Park, N. Ellsworth Ave., Salem. Youngstown Area Community Concert Band with the Shenango Valley Community Band, “Music in the Park with Friends,” 4 p.m., Boardman Park. Dixieland Dandies, 7 p.m., Canfield Summer Concert Series on the Green, Canfield. The Butch Nichols Combo, 7 p.m., Poland Concert Series, gazebo, downtown Poland. Blue Siren, (classic rock and modern country), 7 to 8:30 p.m., Austintown Township Park, 6000 Kirk Road. Demos Papadimas, with Yankee Bravo, 7 to 8:30 p.m., Wick Recreation Area, Judge Morley Pavilion, Mill Creek MetroParks. Lawn seating, free. Little Rock Band, (country), 7 p.m., Woodworth Park, 255 Warren Ave., North Lima. Mahoning Valley Button Box Club, 7 p.m., Mauthe Park, 156 Smithfield St., Struthers. Jim Frank Combo, 7 p.m., Ramsay Memorial Pavilion, corner of Fifth St. and Ohio Ave., McDonald. Phil Gonzalez, 6:30 p.m., Roosevelt Park, 800 Struthers Liberty Road, Campbell. Manhattan, 7 p.m., Waterworth Park, N. Ellsworth Ave., Salem. Youngstown Area Community Concert Band/Mercer Summer Band Concert, 7 p.m., Courthouse Square, Mercer, Pa. Bone Thugs N Harmony concert, Warren Community Amphitheater. Disco Inferno, with Rudy and the Professionals. Warren Community Amphitheater, 321 Mahoning Ave. NW Warren. $8. Rain or shine. Gates open at 5 p.m.
Dog Days of Summer, 1 to 3 p.m., White House Fruit Farm, 9249 Youngstown-Salem Road, Canfield. Participants are invited to bring their dogs to the farm for an afternoon of play. Be part of the Pup Parade, dress them in costume, have a photo taken and enjoy a doggie treat. Registration required. All dogs must be socialized and remain on lead. Wings -n- Wheels, 9 a.m. to 5 p.m., Ernie Hall Aviation Museum, Warren. Spend an afternoon among antique planes and classic cars. Call 330-219-6143 for information. Full House, 6 p.m., Bicentennial Gazebo, Warren Sharon Road, Vienna Center. In case of rain, concert will be moved to St. Thomas the Apostle Parish Center. Canfield Community Concert Band at the Mahoning Valley Olde Car Club Show, Boardman Park, 375 Boardman-Poland Road, Boardman. Frank Capri, 6 to 8 p.m., Harding Park, 249 Roosevelt Drive, Hubbard. John Hampu Band, 6 p.m., Waterworth Park, N. Ellsworth Ave., Salem. Bug Day, 11 a.m. to 5 p.m., MetroParks Farm. Children can earn a “Master of Bugology” diploma by playing bug bingo, racing for bugs, hunting for bugs and making a bug craft, Rain or shine. Call Ford Nature Center at 330-740-7107 for details. Free. Cars in the Park hosted by Mahoning Valley Olde Car Club, 9 a.m. to 4 p.m., Boardman Park, 375 Boardman Poland Road. Canfield Community Band, 7 p.m., Canfield Summer Concert Series on the Green, U.S. Route 224 and state Route 46, Canfield. Following June, 7 p.m., Poland Concert Series, gazebo, downtown Poland. The Vegas Band (top 40), 7 to 8:30 p.m., Austintown Township Park, 6000 Kirk Road. The Vindys, with Shooter Sharp and the Shootouts, 7 to 8:30 p.m., Wick Recreation Area, Judge Morley Pavilion, Mill Creek MetroParks. Lawn seating, free. Celebration band (oldies and rock & roll) and Community Corn Roast, 7 p.m., Woodworth Park, 255 Warren Ave., North Lima. Terry Hitchcock Party Piano, 7 p.m., Yellow Creek Park, 17 Lowellville Road, Struthers. Mahoning Valley Concert Band, 7 p.m., Ramsay Memorial Pavilion, corner of Fifth St. and Ohio Ave., McDonald. Bill Bevec, 6:30 p.m., Roosevelt Park, 800 Struthers Liberty Road, Campbell. Mission Night Market, 6 to 10 p.m., Huntington Place Plaza, 1393 Boardman-Canfield Road. Go to missionmarket.org or call 234-254-0170. Good Question, 6 p.m., Bicentennial Gazebo, Warren Sharon Road, Vienna Center. In case of rain, concert will be moved to St. Thomas the Apostle Parish Center. Four Kings and the Queen, 6 p.m., Waterworth Park, N. Ellsworth Ave., Salem. A Tribute to Don Burns with the Don Burns Big Band, 7 p.m., Canfield Summer Concert Series on the Green, U.S. route 224 and state Route 46, Canfield. Jim Frank Combo (big band, polka, waltzes), 7 to 8:30 p.m., Austintown Township Park, 6000 Kirk Road. Easy Street Productions show, 7 to 8:30 p.m., Wick Recreation Area, Judge Morley Pavilion, Mill Creek MetroParks. Lawn seating, free. Chardon Polka Band, 7 p.m., Woodworth Park, 255 Warren Ave., North Lima. D-Day Re-Enactment, 9 a.m. to 4 p.m. Re-enactors dressed in period uniforms set up camp sites at the bluffs overlooking Lake Erie, create a realistic setting for the beach invasion re-enactment of the D-Day landing in Normandy. Conneaut Township Park, 480 Lake Road, Conneaut. Mahoning Valley Button Box Club, 7 p.m., Ramsay Memorial Pavilion, corner of Fifth St. and Ohio Ave., McDonald. John Grahovic, 6:30 p.m., Roosevelt Park, 800 Struthers Liberty Road, Campbell. Back to Avalon (Heart tribute), 7 p.m., Mahoning Valley Race Course, 655 N. Canfield-Niles Road, Austintown. Ultimate Aldean (Jason Aldean tribute), with Northern Whiskey, Warren Community Amphitheater, 321 Mahoning Ave. NW Warren. $8. Rain or shine. Gates open at 5 p.m. Headliner takes the stage at approximately 8:30 p.m. Swing at the Amphitheatre with DJ Carl Severino, 5:30 to 8:30 p.m., Lake Milton State Park, 2323 Grandview Road. AUG. 26. Leanne Binder, classic rock, rhythm and blues), 7 to 8:30 p.m., Austintown Township Park, 6000 Kirk Road. Kelly Kriedler-Dunlap, 7 p.m., Woodworth Park, 255 Warren Ave., North Lima. Zaps (Eastern European ethnic music), 6:30 p.m., Roosevelt Park, 800 Struthers Liberty Road, Campbell. Demos Papadimas with Leo D’Angelo, 7 p.m., Stambaugh Auditorium Gardens, 1000 Fifth Ave., Youngstown, 330-259-0555. $10 includes one drink from the bar. JD’s Summer Songfest, 3 pm, South Champion Street, downtown Youngstown. Ken Block and Drew Copeland of Sister Hazel, JD Eicher, The Vindys, the Labra Brothers and Steve Everett. $12 at the gate ($8 in advance at jdeicher.com) and free for YSU students with ID. Meet the YSU Marching Pride, 7:30 p.m., Stambaugh Stadium. Preview the music the YSU Marching Pride will perform during Penguin Football games this fall as the band gives its first public performance of the year. Donations accepted. Kings Highway (Tom Petty tribute), with Invincible, Warren Community Amphitheater, 321 Mahoning Ave. NW Warren. $8. Rain or shine. Gates open at 5 p.m. Headliners take the stage at approximately 8:30 p.m.
Music at Madison, 6 to 8 p.m., Harding Park, 249 Roosevelt Drive, Hubbard. Free concert. 2nd Avenue Project, 6 p.m., Waterworth Park, N. Ellsworth Ave., Salem. Who’s Bad (Michael Jackson tribute), with Back Traxx, Warren Community Amphitheater, 321 Mahoning Ave. NW Warren. $10. Rain or shine. Gates open at 5 p.m. Headliner takes the stage at approximately 8:30 p.m.
Val the Polka Gal dance featuring Eddie Rodick Orchestra and Frank Stanger Orchestra, 1 to 7 p.m., SNPJ Farm, 10946 Heath Road, Kirtland. Little Rock Country Band, 6:30 p.m., Roosevelt Park, 800 Struthers Liberty Road, Campbell. Mission Night Market, 6 to 10 p.m., Huntington Place Plaza, 1393 Boardman-Canfield Road. For information, visit missionmarket.org or call 234-254-0170. Fireplace Car Show, 10 a.m. to 4 p.m., the Fireplace, 2075 E. Western Reserve Road, Poland. New Middletown Custom Car Show, 10 a.m. to 4 p.m., Freedom Church, 9900 Youngstown-Pittsburgh Road, New Middletown. Fusion Fest, with Liam Jones and the Bees Trees and more, 4 p.m., B&O Station, 530 Mahoning Ave., Youngstown. Rust Belt Revival, 11 a.m. to 4 p.m., B&O Station, 530 Mahoning Ave., Youngstown. Mission Night Market, 6 to 10 p.m., Huntington Place Plaza, 1393 Boardman-Canfield Road. For information, visit missionmarket.org. May 22, 2014 11:22 a.m.